The family gathered again to celebrate our granny’s 80th birthday at Summer Pavilion, our family favorite. The steamed bun stuffed with lotus paste and salted egg yolk was served first. 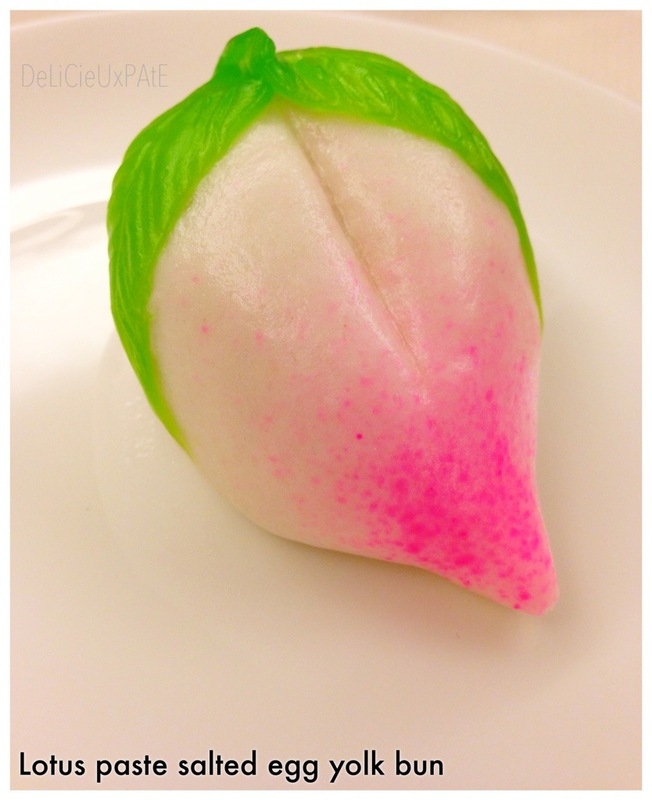 It is a Chinese custom to serve the ‘birthday bun’, 寿桃 as it symbolizes longevity. 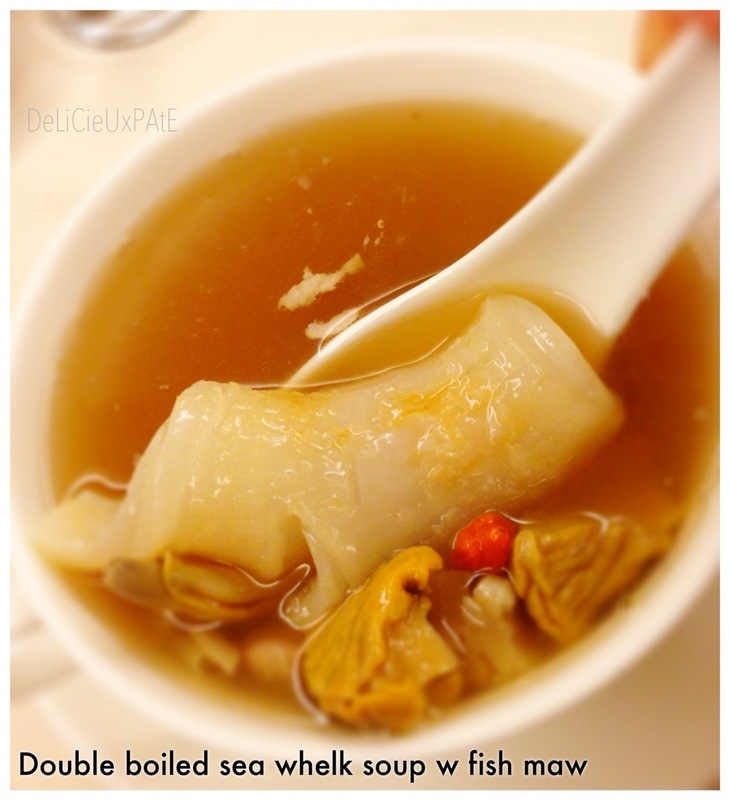 This next soup was so delicious! About 2kg of lean meat and probably 1kg of sea whelk, goji berries and 12 huge pieces of fish maw went into this pot of soup, which was double boiled for 7hrs. Very nutritious and full of collagen! 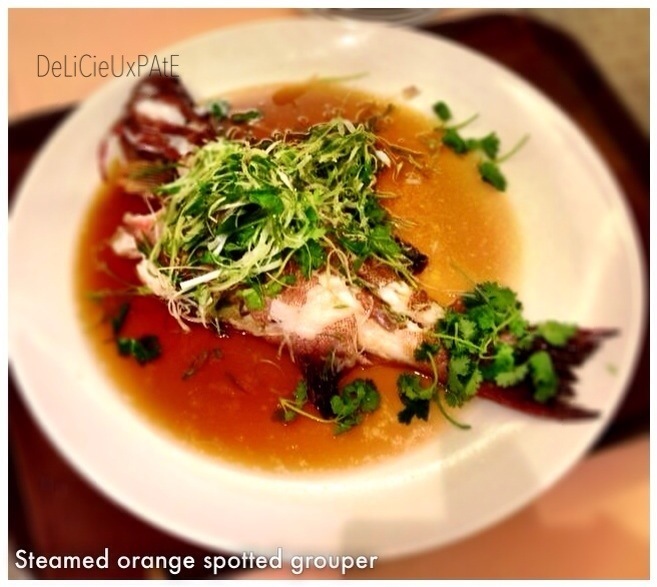 Next up, steamed orange-spotted grouper. So fresh, and steamed perfectly in superior light soy. 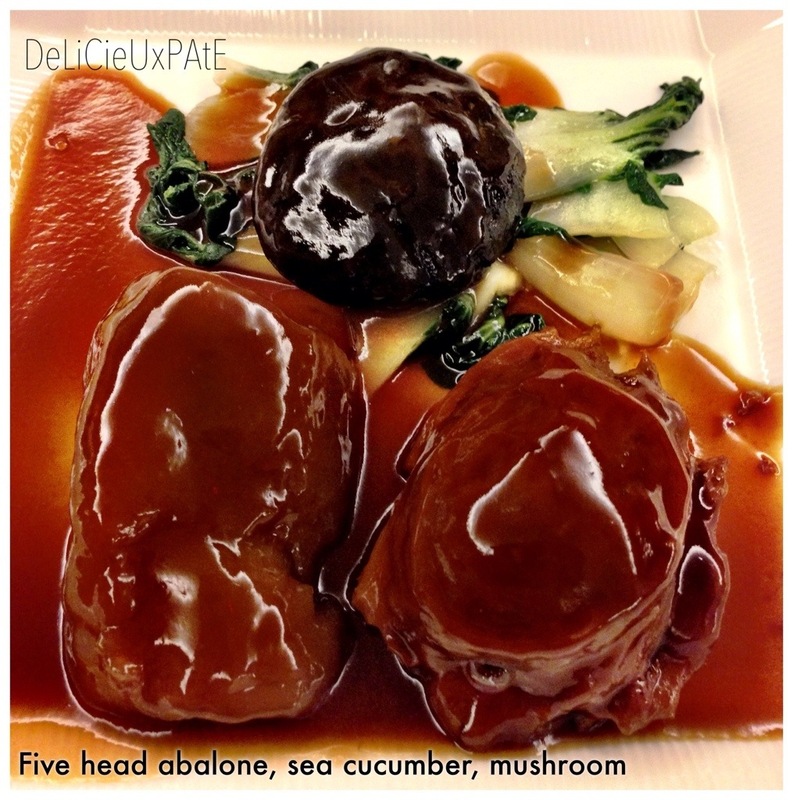 Abalone and sea cucumber with mushroom and vegetables was next. 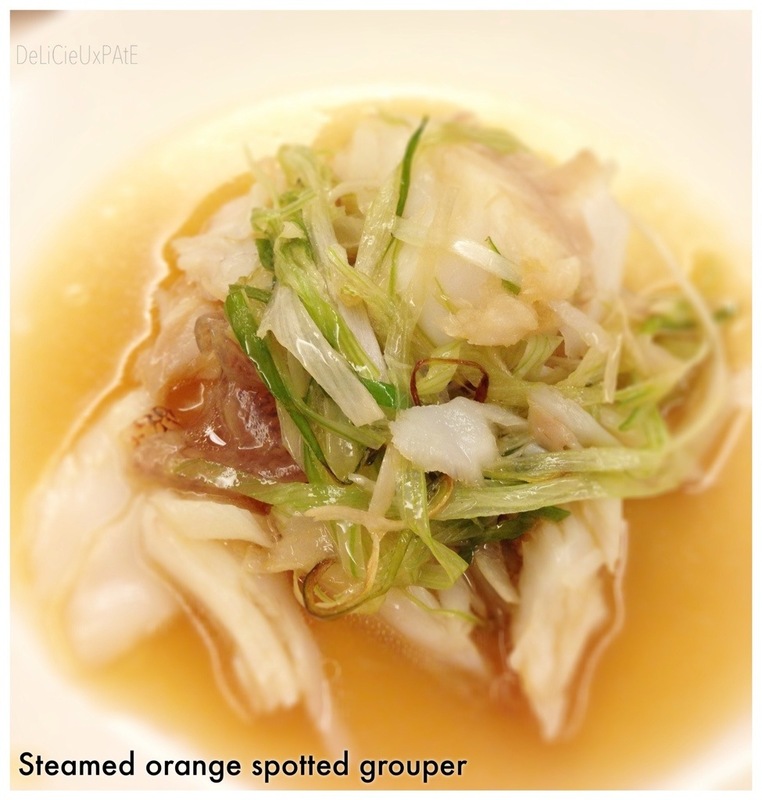 Tender abalone infused with the flavorful sauce, mmmmm…. 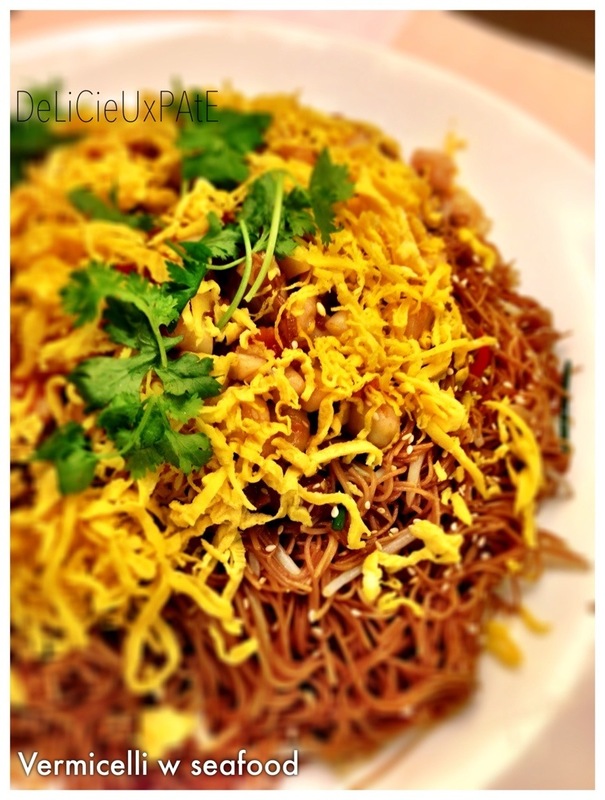 It was simply yums! 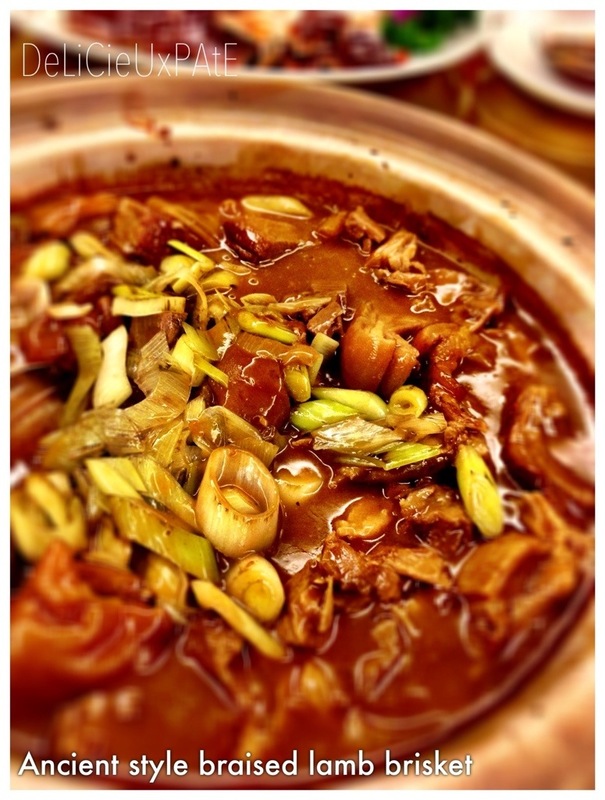 As I’m not a lamb person, this next dish which everyone highly anticipated arrived… ‘ancient’ braised lamb scored the likes of all the lamb lovers!